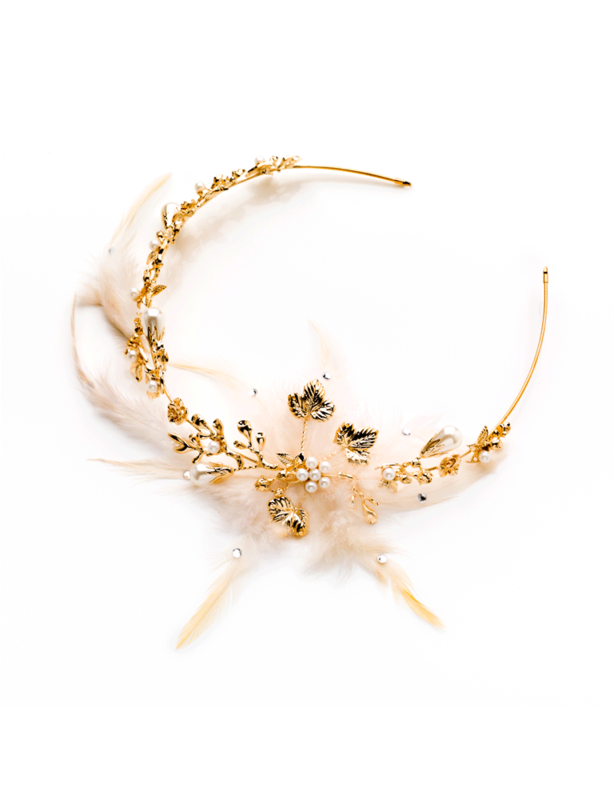 Ivory pearl and gold statement piece with blush feathers is a stunning blend of en vogue design and classic styling. 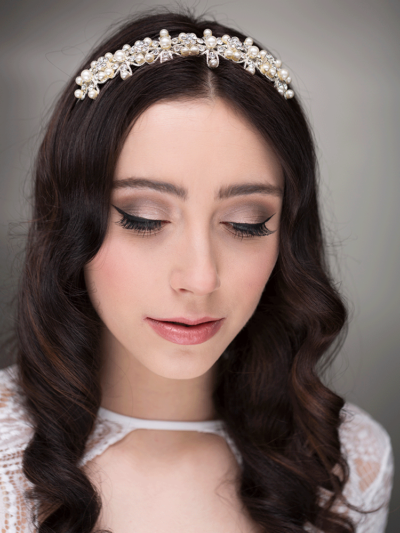 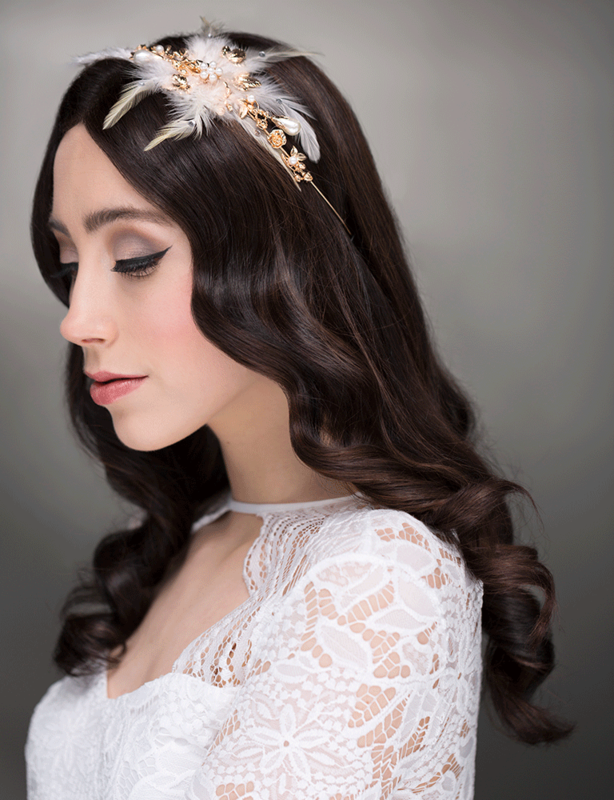 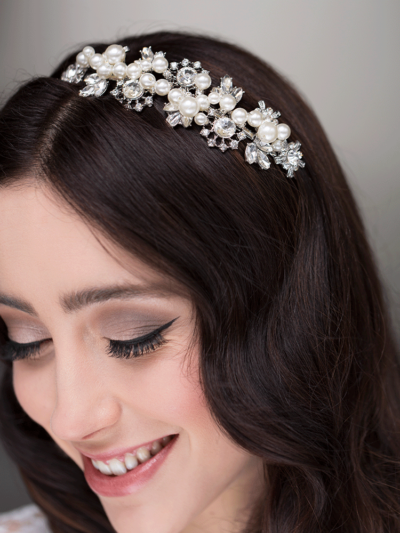 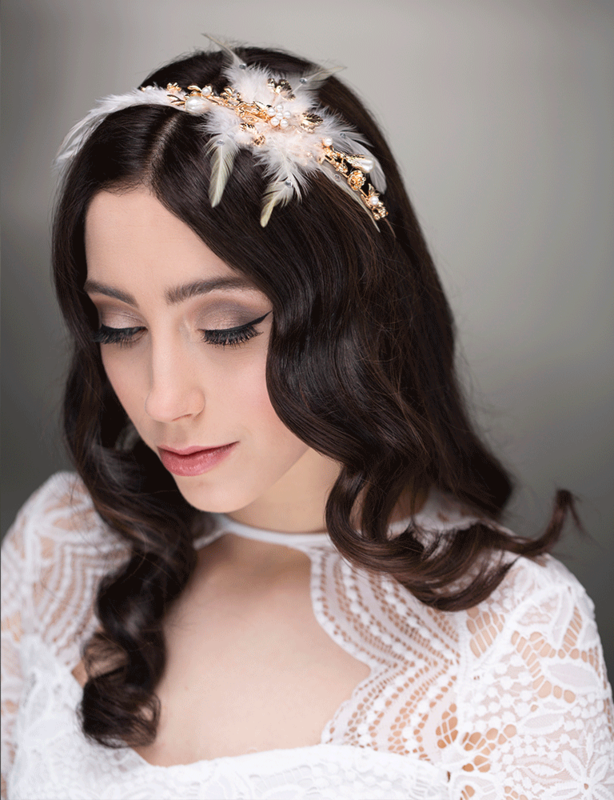 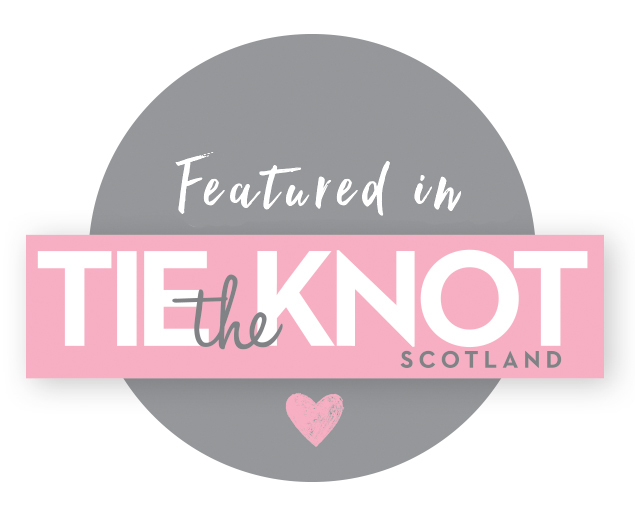 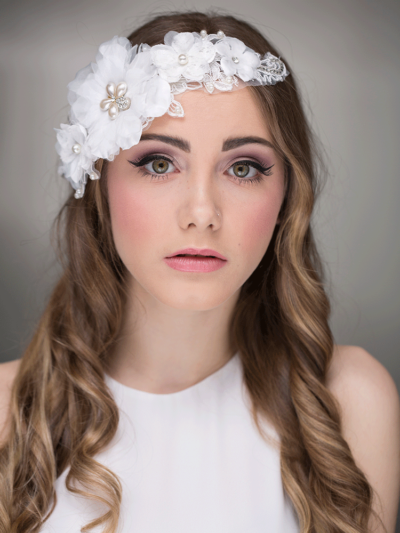 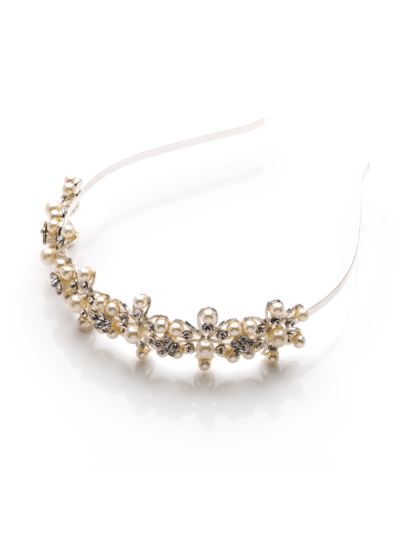 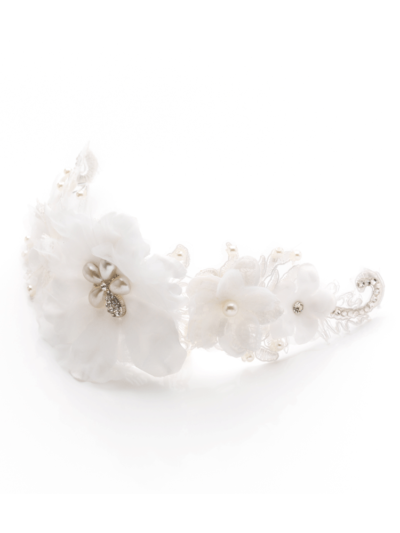 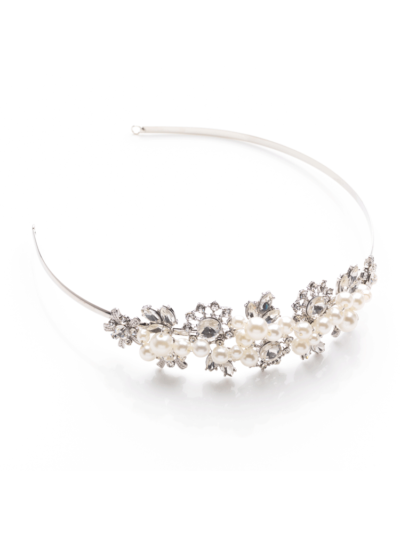 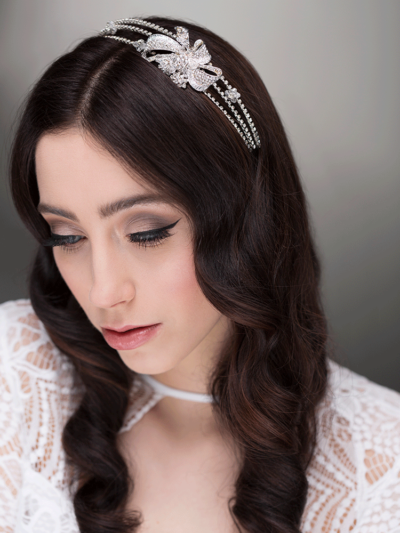 Our Enchanted headpiece is on flexible wire and can be worn in a variety of bridal styles. 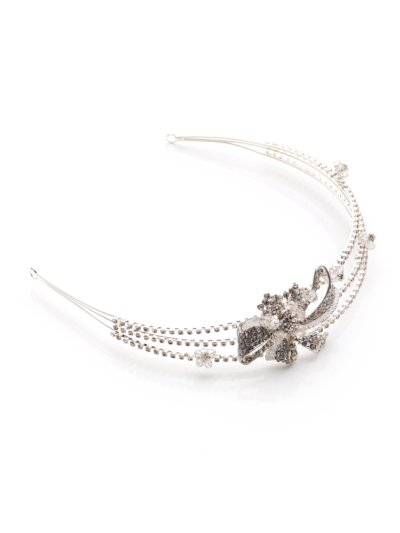 Pieces you’ll love to wear on your special day and treasure forever.